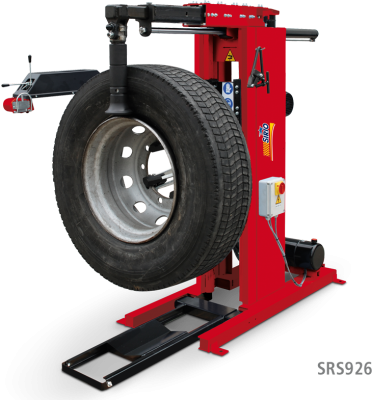 Truck tyre changer for both road-side and workshop service, suitable for closed vans and/or small workshops. Controls on consolle. 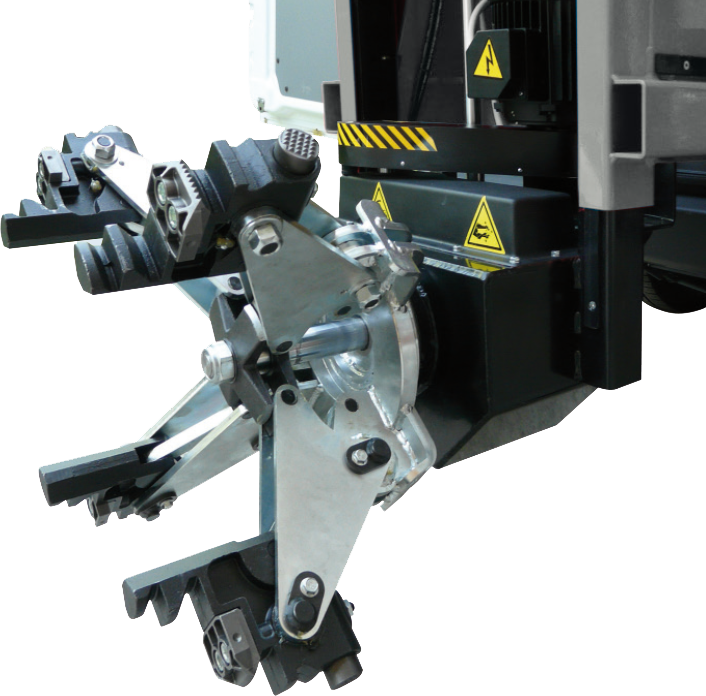 Hydraulic chucking table. 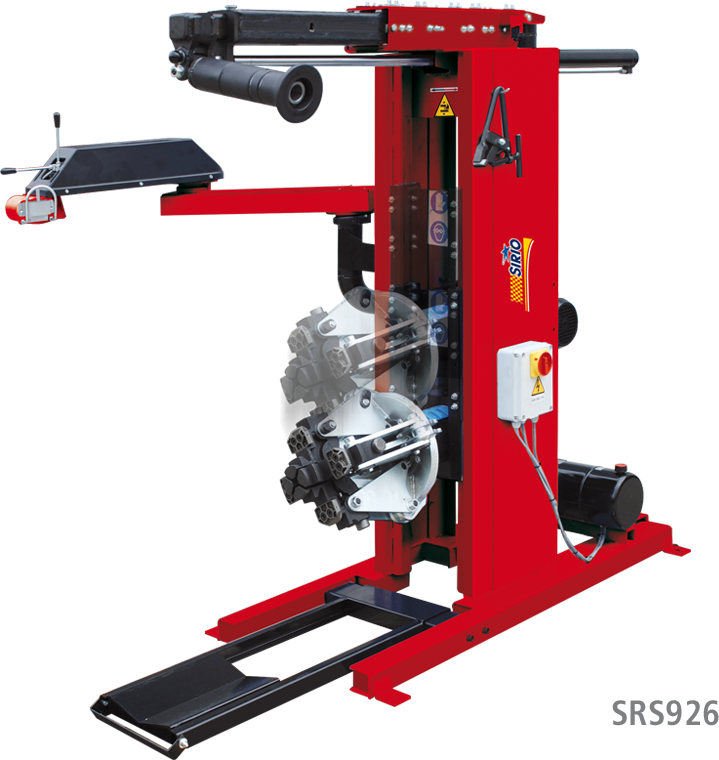 Suitable also for agricultural tyres.